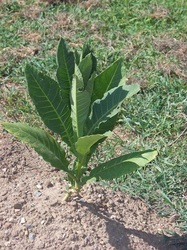 The first few weeks of growth are critical to the tobacco plant. Keeping out weeds and fertilizing the crop will optimize yield and is very labor intensive. 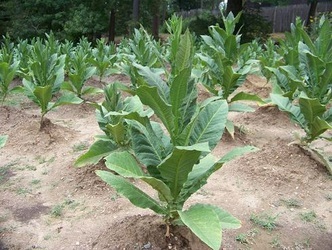 The plant has a rich green color throughout the growing season. 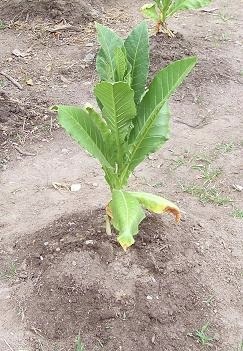 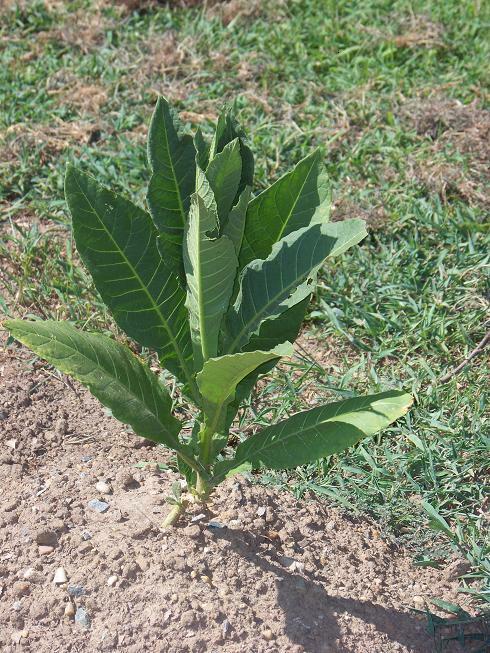 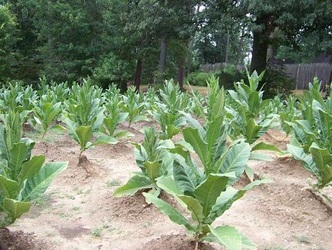 Below, the first photo shows a field of tobacco that has been set for about five weeks. 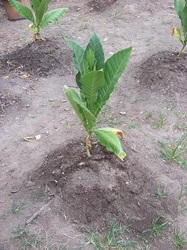 The other photos show plants that have been in the field for about 60-70 days.